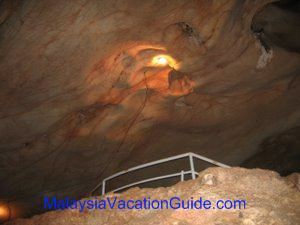 Pangkor island is located off the west coast of the state of Perak. It has everything that an ideal island has to offer. 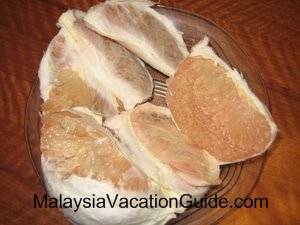 One can see the long stretches of golden beaches in many parts of the island and the popular ones are Pasir Bogak Beach, Golden Sands Beach or Pantai Puteri Dewi and Teluk Nipah. Pangkor is still clean in that the pace of development is still slow compared to other islands in Malaysia. 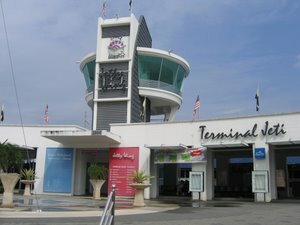 The Lumut Terminal, the gateway to Pangkor Island. You will be able to see fishermen going out to the sea to make a living as the majority of them are fishermen. 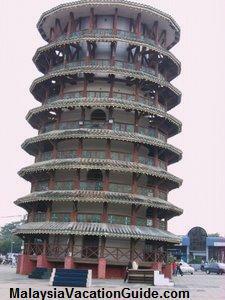 Most of them stayed in the small towns of Sungai Pinang Kecil and Sungai Pinang Besar. In fact, one can even venture into their small factories to see how they process their catch of the day as well as buying some of the processed food. 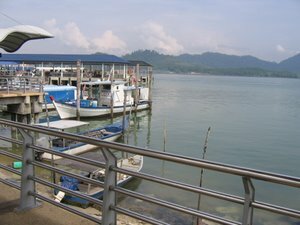 The town of Lumut is the gateway to Pangkor Island. The jetty and its surrounding was recently renovated and is now ready to receive tourists that will be coming in throngs to enjoy the beauty of this island. 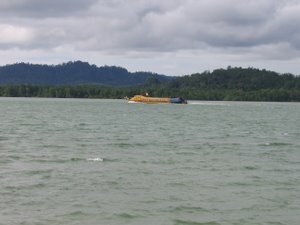 It takes approximately 35 to 40 minutes to get to the island from Lumut Jetty. 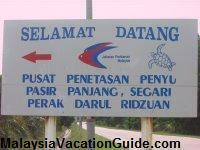 If you are driving to Lumut, there are plenty of private overnight car parks that you can safely park your car. 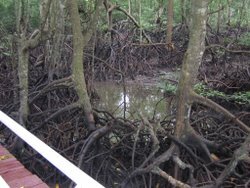 It also has a beautiful waterfront facilities such as restrooms, souvenir shops, viewing platform and playground for visitors of all ages to enjoy. A Speed Boat to the island. 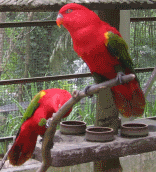 There are many chalets, motels and hotels of different pricing and categories to cater for the needs of the visitors. Most of the bigger hotels are built along the beachfront that offer you a splendid view of the sea. 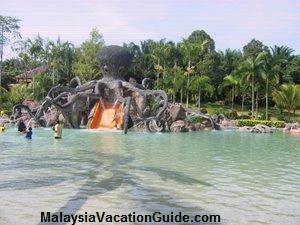 The 4 and 5 star hotels that one can stay are Pangkor Island Beach Resort which is located along Teluk Belanga Beach. Other budget hotels among others include Sea View hotel, Khoo Holiday Resort and Sri Bayu Beach Resort. 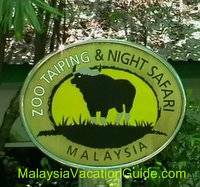 See also the listing of Pangkor Hotels for more information. 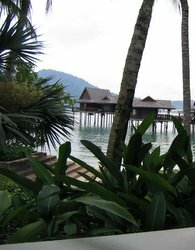 The world renowned Pangkor Laut Resort is located in Pangkor Laut Island, a private island to the west of the main island. It has the facilities of a 5 star hotel with a private beach called Emerald Bay. Emerald Bay is one of most beautiful beach on the island where the water is crystal clear. If you have the budget, I would strongly recommend you to stay and experience the wonders of this island where you will be treated like a VIP. Once on the island, one can explore the many attractions of the island by renting a car, a motorcycle or a bicycle. For those who are not on tight budget, is is very convenient to take taxi as there are many taxis on the island. You can even negotiate with the taxi driver to take you around the island for a fee and he will surely be glad to provide this service for you. 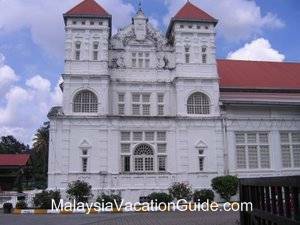 The Dutch Fort is a 300 year old fort that was once a Dutch stronghold against the pirates and local Malays. One can see its ruin till today. If you are a golf player, there is a golf course situated to the north of the Island. The various beaches that one can enjoy are Pasir Bogak Beach, Teluk Nipah, Coral Beach and Teluk Belanga. Cross over to Lumut and go to Segari Pasir Panjang Turtle Hatchery Centre and see the many turtles that are being breed here. Pasir Panjang White Sandy Beach is another desolate and undeveloped beach that you may want to go for the adventures. 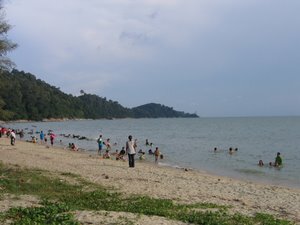 Teluk Senangin Beach near Swiss garden Golf Resort and Spa is another beach that you can drop by for half a day's trip.